Welcome to the Snowplaza team! A truly international group of ski and snowboard fanatics from all around Europe. Together, we work hard to bring you the latest and most up-to-date news, to keep you informed on weather and snow reports and what’s happening in world’s best skiing and snowboarding spots. By sharing this information and our knowledge and personal experiences, we aim to help you organise your trip so you can get the best out of your ski holiday. If you’d like to contact us, feel free to send an email to info@snowplaza.co.uk and we’ll get back to you as soon as possible. Hello! My name is Thijs. I am a passionate skier and am always looking for the best après-ski bars. 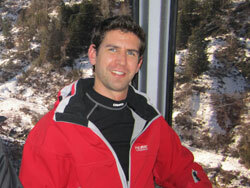 Fun and entertainment are a must for me on my ski holidays. At Snowplaza, my colleagues know me as an après-ski expert who always knows the best tips for the cosiest mountain cafés, the best night clubs and the latest hits on the dance floor. 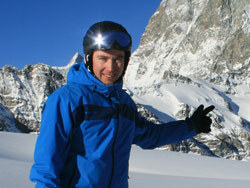 In the Snowplaza ski guide you can read all about my experiences on the slopes. 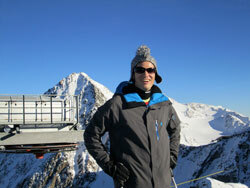 My tip for a lively ski holiday with awesome skiing and plenty of après-ski is St. Anton in Austria. Hi, I'm Miranda. As far back as I can remember, I've always had something to do with the mountains. Skiing, snowboarding, hiking or mountain biking – there isn’t a mountain sport I don’t love! 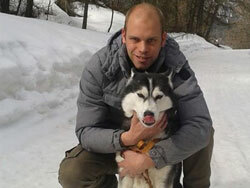 I spent many years working in Trentino as a ski instructor and now know this area like the back of my hand. Friends often say that there isn’t a ski resort where I haven´t been – and it’s not far from the truth! The best spot for me is in St. Moritz. Hi my name is Michael. I have been active in the ski industry for over 8 years now and one of my favourite spots is Les Deux Alpes. 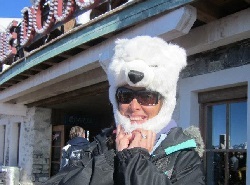 Mainly for the fantastic slopes but also for the great après-ski! I also like spending my ski holiday in the smaller, cosier ski resorts where you can almost have the slopes to yourself. 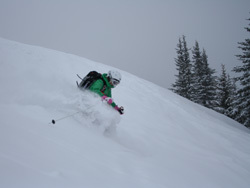 My recommendation for your next ski holiday: [IL:IT], not expensive and great for skiing! Hello, I'm Felix. Honestly, there has only been one sport for me ever since my school days: skiing! As soon as the first snowflakes fall, I am already standing on the Bretten and heading down the slopes! Luckily I get to share all my experiences and recommendations about ski resorts on our website and through our travel magazine, snowplaza.de. My tip for ski holidays in Italy – try the unforgettable ski resort of Val Gardena! Hi, my name is Joeri. 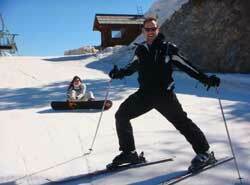 I was lucky enough to learn to ski as soon as I learnt to walk! My grandparents had a house in the West Village in the Wilder Kaiser ski area, in Austria and that´s where my love for skiing was born. Every winter season, I try to be up on the slopes as often as possible and to share my experiences with Snowplaza’s visitors. My favourite ski area is of course, the Wilder Kaiser!